Here's a little task for you. Go around your friends (those who like F1) and get them to name their favourite circuits on the current calendar. Spa is likely to come up a lot, as are Suzuka, Silverstone and Monza, while many of a certain persuasion may select Monaco and Singapore. But there is another track that, despite not having the most immediately obvious qualifications to be included among this haughty group, despite appearing rather incongruous with the others mentioned, would be right up there in the forefront of people's minds too. Perhaps it would be cited more commonly even than any of the venues that I specified. This is the Circuit Gilles Villeneuve in Montreal, the scene of the Canadian Grand Prix. Why is this so? As I said it doesn't appear to have a great deal of overlap with the other popular tracks cited. It isn't the major driving challenge with fearsome turns that Suzuka and Spa are; it doesn't have Monaco's or Singapore's glitz and glamour; it hasn't been around since the year dot like Monaco, Spa, Monza and Silverstone have. But perhaps inadvertently we've gone some way to answering our own question. In my view, a central tenet of Montreal's appeal to the F1 fan is that it is different. Very much so. The track is sited on a man-made island barely 150 yards across in the Saint Lawrence river (and TV pictures really don't give the full sense of the extent that the track is squeezed onto an island), and is surrounded immediately by lush parkland and flower beds, dusted with quirky, other-worldly architecture, with an exciting, vibrant, international city just a short metro ride away and providing the backdrop. The weather is usually wonderful, though there is just enough of a threat of rain to keep things interesting. The walls are close, meaning the passionate and knowledgeable fans - always there in great number - are close too, almost overhanging the track, while the local welcome is warm. Yes dear reader when the F1 circus pitches up in Montreal it certainly could not be mistaken for being anywhere else. And somehow when F1 is there for once everything feels right with the sport. 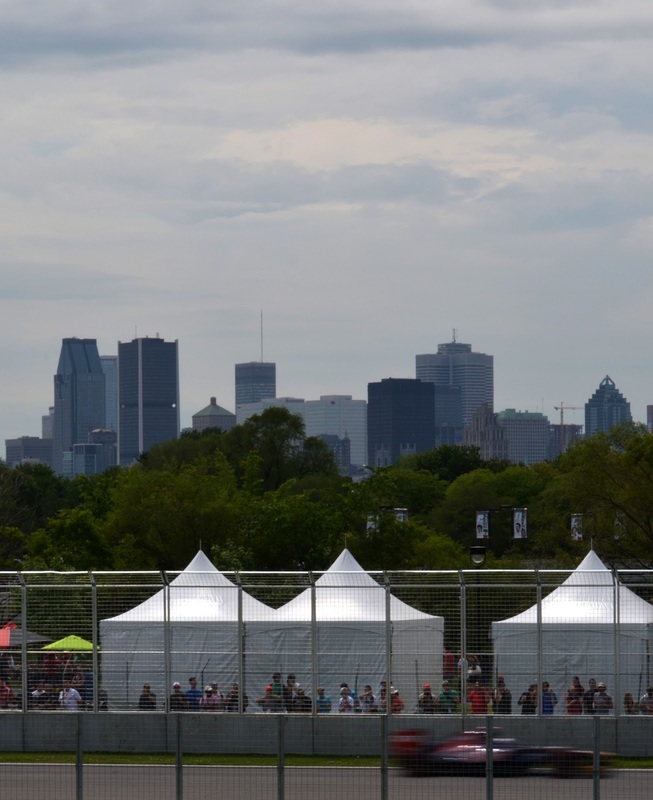 Perhaps also the passing of time and the parallel shifts of the F1 itinerary, with the sport's move to new (and sometimes tepid) venues mostly at rather identikit and cold Tilke-dromes, has added to Montreal's legend. Its status as a venue like no other, a venue with a quirky and refreshing sense of the distinct, as well as one with a warm, vast and passionate crowd in attendance, has got more acute over the years. It has now reached the point that as far as almost all of the sport's fans are concerned an F1 calendar without Montreal on it would be a greatly diminished one. 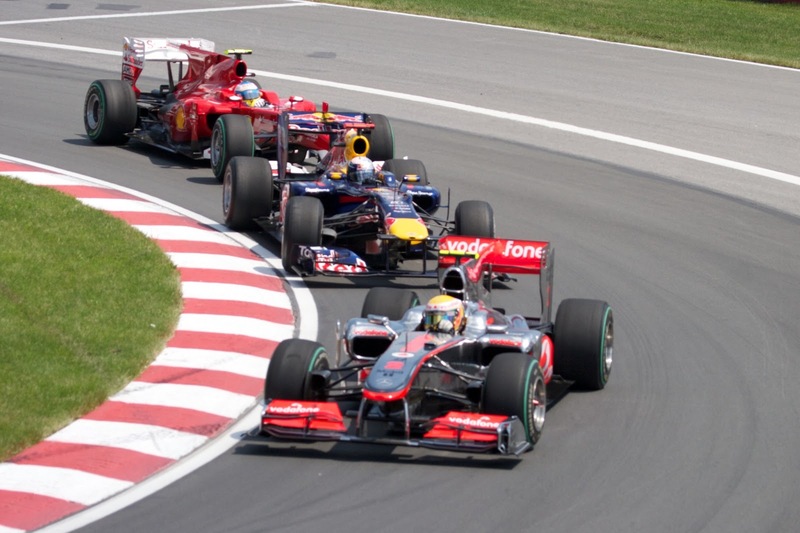 The Circuit Gilles Villeneuve can truly be said to be a modern classic. And although the venue has been the scene of tragedy, with Riccardo Paletti's death at the start of the 1982 Grand Prix, as well as other misfortune such as Jean-Pierre Jabouille and Olivier Panis breaking their legs in accidents here, it broadly speaking has had a charmed life. Throughout its history it is a place where things happen; drama is never far away. It is genuinely hard to cite an uneventful Canadian Grand Prix at Montreal from history; it is almost as hard to even imagine one. It usually is anticipated as one of the most diverting races of the season, and it rarely disappoints. Equally unconventionally, Montreal's trajectory over time has been for the track layout to get quicker rather than slower. In 1978 when the circuit surfaced as an F1 venue it was considered conspicuously tight and twisty by the norms of then. But over time corners were eased, and two corner complexes were replaced by straights, meaning that the current layout is one wherein the F1 car stretches its legs more than normal. The long straights and big braking zones, especially that which ends the lap, provide ample overtaking opportunities and meant that even during the sport's extreme famine of overtaking Montreal races would contain more wheel-to-wheel action than the rest of the year's combined. Literally. The frequent appearances of the safety car have bunched and sometimes jumbled the pack. Its punishment of brakes, engines and gearboxes has made races in the past matters of survival. The nearby walls mean, in another increasingly rare F1 phenomenon, that mistakes usually are punished by a walk back to the pits. The circuit's charmed life and status as something different goes back all the way to when it made its F1 bow back in 1978: even by the standards of that age the venue was then notable for its charming nonconformity, which thawed the arch cynicism of the F1 brigade at the end of a long and tragic season with the championship long decided, and sent into a bitterly cold Montreal Autumn to encounter a new-fangled venue built at little notice. This was noted in that year's Autocourse annual: 'Even a cold and wet Autumn day could not drown the magical surroundings of Montreal's brand new race track, weaving around the futuristic buildings of the Expo 67 site in the man-made Île de Notre-Dame...The track itself could be described as another Crystal Palace...the whole place had an out-of-context atmosphere as racing cars screamed through tree-lined corners and neatly trimmed flower gardens only minutes from the noise and bustle of a major city'. Appropriately, the track's back story has an unconventional quality, possibly more so than for any other F1 venue past or present. Montreal was awarded the Expo, or 'World's Fair', for 1967. To stage this it was decided to enlarge the existing island of Île Sainte-Hélène as well as create a new Île Notre-Dame in the Saint Lawrence River, with the fill for this taken from the excavations from the Montreal's Metro system (a project already underway). On these and nearby there would be various weird and wonderful buildings constructed to house the Expo exhibits. The island and its other-worldly features lived on beyond the Expo year, though many of the buildings were demolished subsequently to make way for the rowing strip that would be cut into the Île Notre-Dame for the 1976 Olympics. Montreal then turned its back on the island somewhat for a while, but in mid-1978 the Canadian Grand Prix's future looked under threat, with the F1 car considered to have outgrown the previous venue of Mosport on the safety stakes (in 1977 there was talk of a drivers' boycott following Ian Ashley being seriously injured after his Hesketh vaulted the barriers and collided with a television tower). Montreal resident and former driver and mechanic Roger Peart at this point had an idea to rectify this by doing something with the Notre-Dame island. Thus he designed a circuit around it and despite work not starting on it until June that year it was ready two weeks before its 8 October Grand Prix date. And the venue could hardly have asked for a better debut. It charmed everyone as mentioned, with its unique atmosphere and comic book backdrop of bizarre and brilliant architecture (sadly much of the architecture was in a poor state of repair even then and was soon after dismantled, though some examples, such as what is now the Montreal Casino and the Montreal Biosphere, still stand and thus ensure the circuit's backdrop remains unique). Many of the buildings can be seen in this rather wonderful range of photos from the 1978 race, as well as in the highlights footage below of the same event. And not only this but the Grand Prix was won by local hero Gilles Villeneuve, his first ever win, and in a Ferrari. No one could have scripted it better, and it was just the start of the irrepressible Villenueve's inexorable association with the place. In his sadly-truncated F1 career Gilles continued to star at the circuit that would eventually take his name: in the 1979 visit he seized the lead from Alan Jones's probably superior Williams at the start and displaying his usual spirit fought a brave rear-guard action, refusing to cede the position. Jones eventually muscled his way past but Gilles still gave him no peace in coming a close second. With the recalcitrant 312T5 not even Gilles could fight for the win in 1980, but the event nevertheless was the scene where Jones sealed his world championship, also the Williams team's first of many. In the teeming rain in 1981 Gilles was back in sharp focus when he somehow kept going at full pelt with his nose cone at an askew angle, seemingly blocking his view (see the footage below) - not that Gilles let such minor matters impede him in pressing on and eventually coming in third! So, how did he see where he was going? 'Oh, I just looked to the right of the front wheel and made sure I never got off the dry line on to the wet.' Obvious, really. Thus the Circuit Gilles Villeneuve shares a lot with the man who lent the venue its name: unconventional, brilliant and usually capable of providing something memorable. It is little wonder that the circuit bows to few others on the calendar when it comes to popularity.